Do 13 year olds actually build fusion reactors? Ever heard of Jamie Edwards? His name is all over the news these days as the wunderkind who, the media claim, "built a fusion reactor in his school laboratory." Headlines blared in the UK, where the 13-year-old schoolboy lives, but also in the US, France, India, Australia, Japan, Thailand and on countless websites and news aggregators throughout the world. A Google request on "Jamie Edwards fusion" last week displayed more than 50,000 results. The young Lancashire schoolboy is the last, and to this day the youngest, in a long series of media-acclaimed teenage "fusioneers." Thiago David Olson, from Michigan; Taylor Wilson, from Texas; Conrad Farnsworth, from Wyoming—all aged between 14 and 18 at the time of their accomplishment—are but a few of the media-proclaimed prodigies that have made global headlines over the past couple of years. The story of the teenager who builds a fusion reactor in the school lab (or alternately in his dad's' basement or garage) is a recurrent media narrative. It is a 21st century variation of the Bill Gates and Steve Jobs sagas of 40 years ago—gifted kids who beat the giant companies and institutions in the race for innovation and eventually brought about a technological and cultural revolution. But what have these young fusion apprentices actually achieved? The young boy certainly deserves to be congratulated. It takes determination, know-how, precision and ingenuity to build and operate a school-lab fusion experiment. 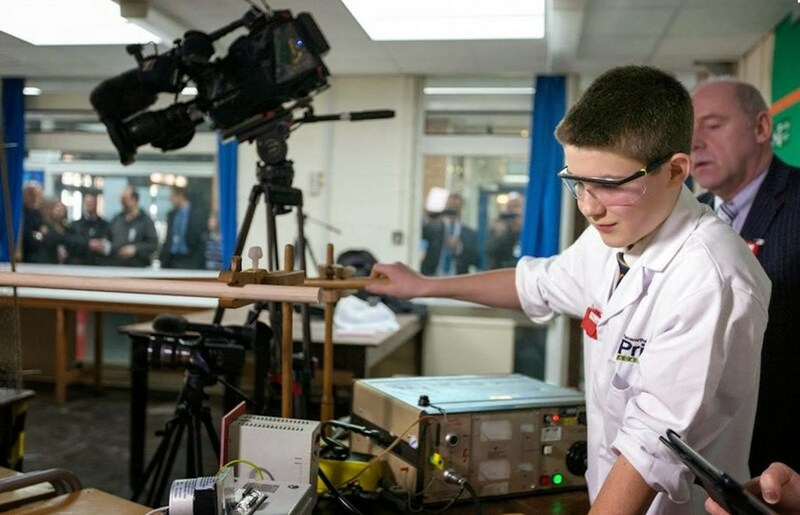 But from a scientific point of view what the boy achieved, his young age aside, is not so remarkable according to ITER neutron specialist Michael Loughlin. "He created a small electrostatic accelerator that accelerated deuterium nuclei and caused a few of them to crash into each other, fuse and produce a neutron. This is the very basis of commercially available neutron sources." It is not even certain that the neutrons detected were actually fusion neutrons. "Jamie should conduct a number of control experiments," suggests Michael. "For example, he could use pure hydrogen gas instead of deuterium and check if the neutron signal is still there. Or establish the presence of helium and tritium in his gas chamber, which would provide proof that fusion had been achieved. But these measurements are probably beyond his budget..."
Jamie's experiment is still a long, long way from the ''working fusion reactor'' or the ''star in a jar'' that the media worldwide have trumpeted. Jamie's experiment is still a long, long way from the "working fusion reactor" or the "star in a jar" that the media worldwide have trumpeted. Jamie's device did not generate energy as a star does and as a fusion reactor will. "The problem is that the deuterium nuclei are much more likely to bounce off each other than fuse and the energy used to accelerate them is lost," says Michael. "It is well known that an electrostatic device cannot generate more energy than it consumes." Another young fusioneer who had his 15 minutes of fame some years ago stated the case very clearly and honestly: "Amateur reactors will never produce power," wrote 18-year-old Conrad Farnsworth on his website. "Their main purpose is education." Then why did the media get so excited? Because the juxtaposition of the terms "fusion reactor," "school lab" and "13 year old" make an irresistible mix when assembled into a headline. And because it's always exciting to pretend that a young student with his Christmas money can achieve what multibillion euro projects have yet to demonstrate. "We should not hold back from praising Jamie for a wonderful scientific experiment," says Michael. 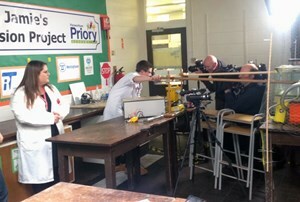 Like the young Lancashire student, many fusion physicists first heard their calling in the school lab. Who knows? In a few years Michael might be calling Jamie a colleague.